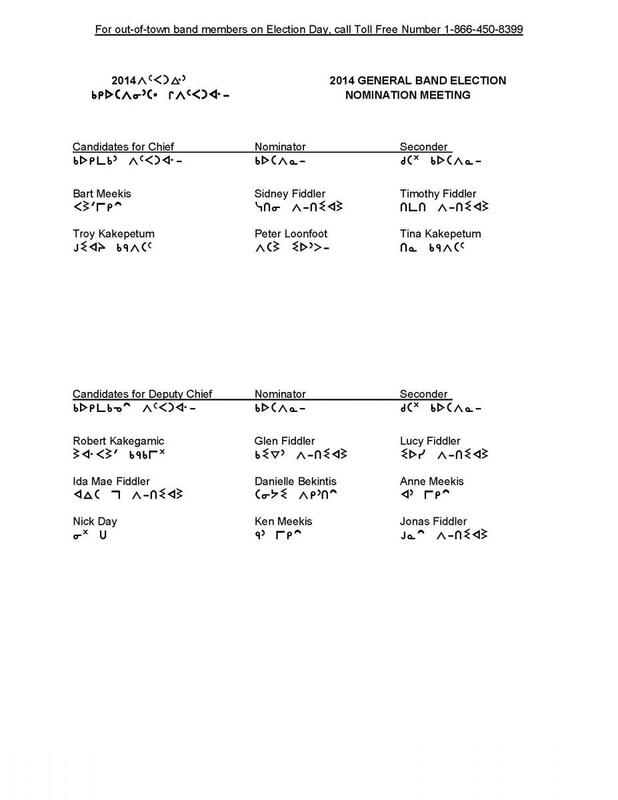 Correction: The seconder for the nomination of Troy Kakepetum for Chief was published incorrectly - it is not David B. Kakegamic, it is Tina Kakepetum. 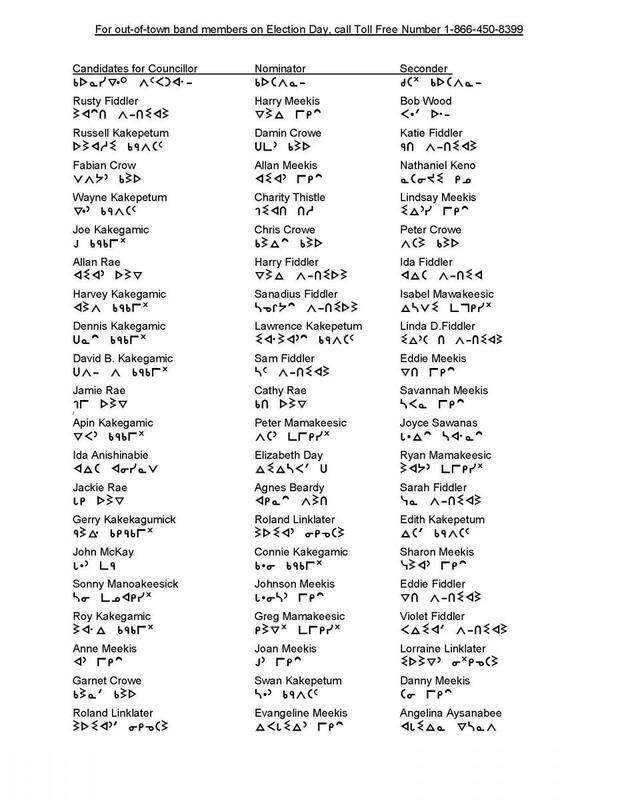 The amended candidate list is now posted below and attached in PDF. 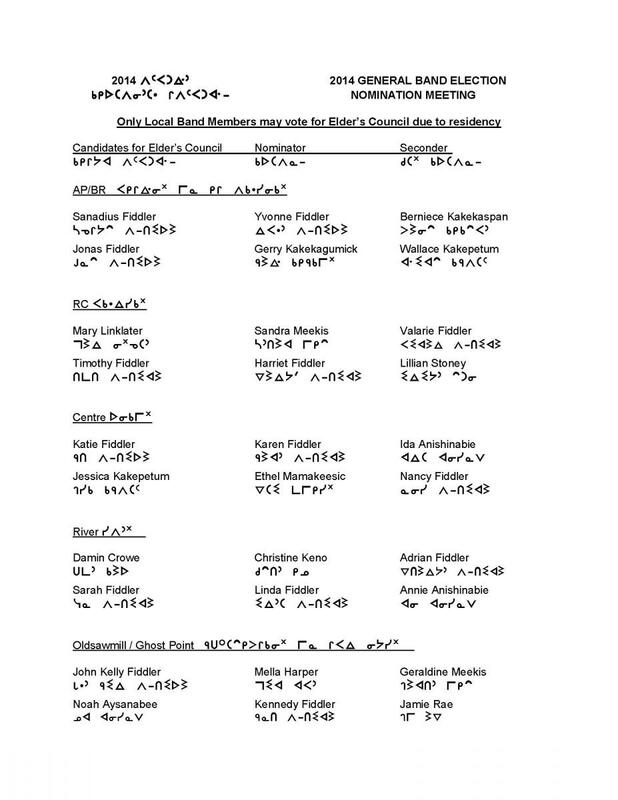 Here are the results from the Nomination Meeting held Wednesday, February 26. Click here to view it in PDF. Band Elections will be March 31, 2014. Note that only local Band Members can vote for the Elders Council due to residency.